Lachlan Bryan and The Wildes have built their reputation on storytelling. Over the past eight years they have released four records, sold out venues across Australia, Europe and the USA, shared stages with Americana and country heavyweights and picked up a string of awards and accolades. New album “Some Girls (Quite) Like Country Music” is Lachlan and band’s most accomplished work to date, finding critical acclaim not just at home, but also in the UK and Europe. In the words of the Songwriting Magazine’s Lisa Redford, the record is a “ragged, poetic alt-country gem”. Opening track “I Hope that I’m Wrong” features what Three Chords and The Truth describes as “the most stunning line to open a track this year, easily surmounting to Isbell proportions”, setting the scene for 45 minutes of “absolutely majestic Country Folk”, including duets with Canada’s Lindi Ortega and New Zealand’s Shanley Del. Live, the band fleshes out the record and their extensive back catalogue with an array of musicians including Andrew Wrigglesworth and Laura Coates (of The Weeping Willows), Imogen Clark, Shanley Del and James Gillard – as well as pedal steel player Seamus O’Sullivan. Whether appearing as a three piece or up to a seven piece, the band always delivers a compelling performance. 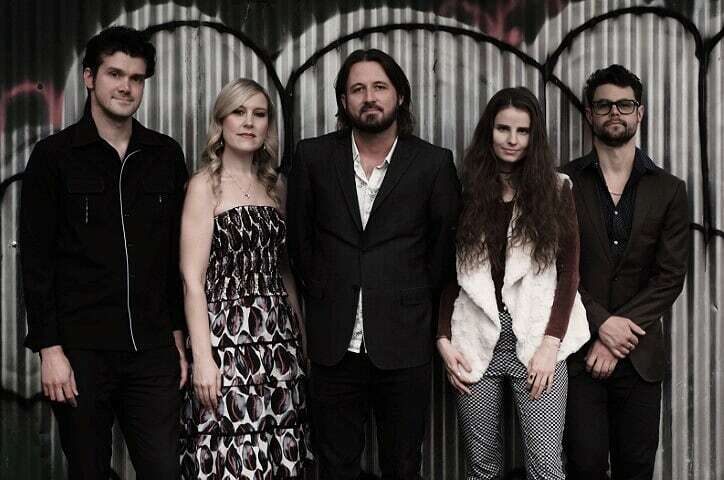 Lachlan Bryan and The Wildes recently returned from a very successful second tour of the UK and Europe to perform at The Gympie Music Muster. In September they will appear at the Dashville Skyline Festival for the third time in four years before further touring in October and November. January will mark their tenth appearance at The Tamworth Country Music Festival, to be followed by a February USA tour with East-Nashville legend Amelia White. With two years of touring, collaborating and living behind her, she’s been able to take the themes of her debut and delve deeper into their meanings and repercussions, embracing and exploring both the dark and light sides of the human condition. “Imogen Clark shines as a world class talent” – Renowned For Sound (4.5 stars). “…A great talent” – Richard Wilkins, Channel 9.